White Oaks has a student-run news station which started as a school-wide PBL. We asked a driving question to guide our work: How could third graders create a news show to serve students at White Oaks School? Acorn Press News was born! Third graders are in charge as producers, marketers, tech. support and broadcasters. Each school year, teams collaborate to create three advertising trailers and three broadcasts shared with all classes at White Oaks. 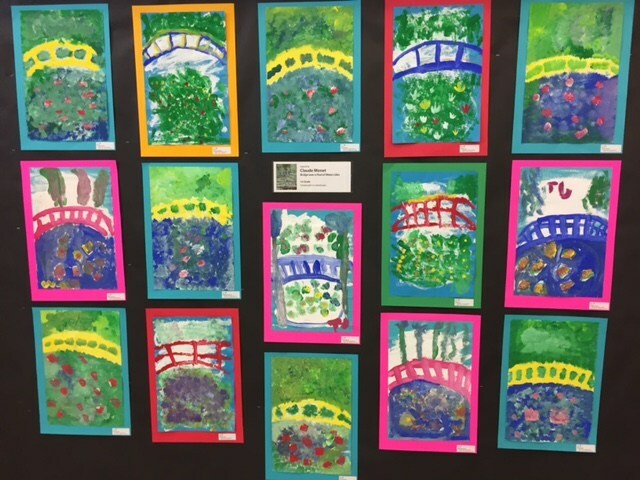 Trained parent volunteers, called Art Docents, use classic works by great artists to enhance students’ knowledge and appreciation of the artist as well as art history, media types and techniques. Students then create their own original masterpieces that reinforce the concepts and techniques discussed in the masterpiece. A piece from each child is highlighted at our Annual Art Show during Open House. Interested in becoming an AIA Docent? Contact Mary Rosen at mlunneborg@gmail.com and Nicola Guerrieri at ylwpkle@yahoo.com. Visit the Art in Action website for information about the curriculum. Assemblies and field trips enrich the educational experience of White Oaks students throughout the school year. Students learn with artists and experts on site and in the community to build curiosity and deepen their understanding of concepts as part of project-based learning. It is easy to be Green! To support our school district's sustainability goals, we promote conservation efforts throughout White Oaks. On the first Wednesday of each month, we celebrate Walk to School Wednesday. Children who walk, bike, or scooter to school earn a charm for reducing traffic congestion and air pollution. Charms are collected in front of the office. Learners in Grades 2 and 3 can choose to join our Green Team to teach students the importance of composting and recycling. In Grades 2 and 3, all students participate in our Garden Program where the students learn about how to tend and care for plants as they grow their own food. If you have questions, please contact Angela Holloszy at 1holloszy@gmail.com. The ChoiceLunch offers a variety of healthy, delicious meals to our children. More information about Hot Lunch. Students visit our school library weekly to check out books, listen to stories and practice research skills. Our collection includes an enriching array of fiction and nonfiction books to encourage literacy development and build on children’s natural sense of curiosity about the world around them. Parent volunteers assist Mrs. Griffin in the library by helping students select and check out books. Teachers collaborate with our Tech Associate to plan experiences that deepen classroom learning, support skill development, and match students’ developmental needs for hands-on exploration. With generous support from the San Carlos Educational Foundation (SCEF), our District partners with Music for Minors so that each child at White Oaks receives high quality music instruction. 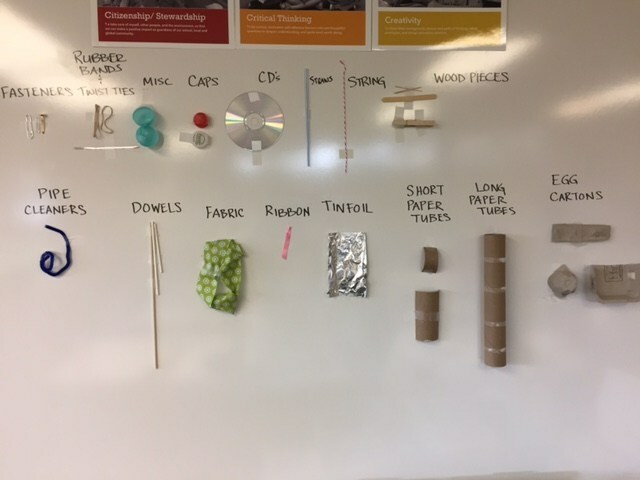 Lessons focus on vocal music and rhythm in K-2, and then progress to beginning instrument experiences as recorders are introduced in third grade. Recorders continue in fourth grade as a precursor to band/orchestra participation in the middle school years. As part of our commitment to Health and Wellness, we partner with Legarza to provide engaging, fitness-focused PE lessons K-4. Lessons are based on the California Dept. of Education Physical Fitness Standards and also include a closing “Health Huddle” to teach healthy habits and nutrition. 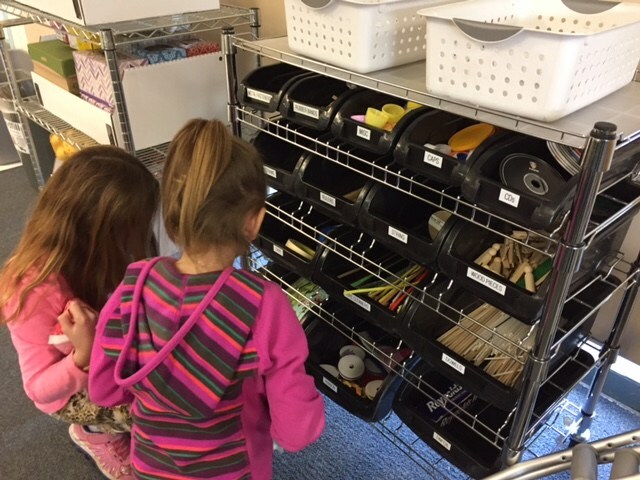 In preschool through Grade 1, students also participate in Motor Room where they develop gross motor and fine motor skills in a series of engaging activity stations. Playful learning is abundant at the Playpod where students combine creative problem-solving and imagination. Our playpod is a large container of "loose parts" that learners convert into all kinds of amazing designs - forts, restaurants, houses, endless ramps and more!. Play time at the Playpod is full of rich language, collaboration, and creativity as children practice make-believe, construction and mastery play. Playpod is open during lunch recess and for classroom sign-ups. 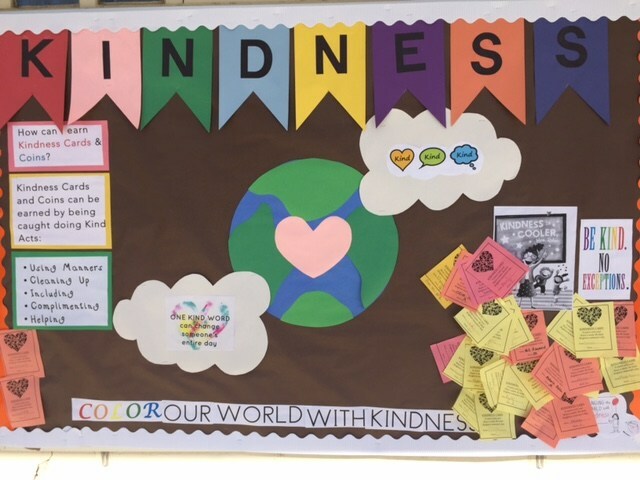 Our school counselor teaches regular Social-Emotional Learning (SEL) lessons in all TK-3 classrooms. Some students also participate in small group counseling. We use the Second Step program as well as a variety of other tools to support learners in developing tools to succeed academically and develop positive relationships with peers. * We are hoping to offer these programs at White Oaks and final decisions will be based on volunteers and budget availability.